The award-winning, action-packed comedy thriller The Wrong Mans returns to BBC Two this Christmas and sees our two hapless heroes Sam and Phil in deeper, darker danger than ever before as they embark on a dangerous international quest to prove once again they are The Wrong Mans. 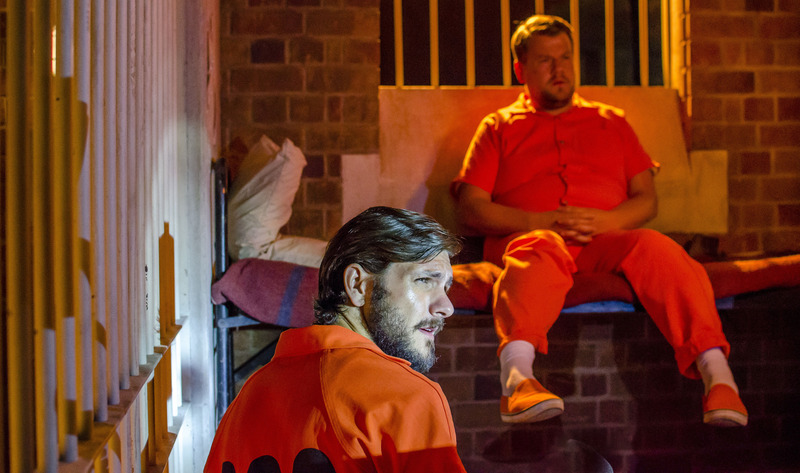 Having earned their status as hometown heroes in the first series, Sam (Mathew Baynton) and Phil (James Corden) are blasted back to zero again. Now 4,000 miles from home, Phil is relishing the chance to reinvent himself but Sam pines for his old life. But some distressing news from back home forces them to make a difficult choice: hide in the shadows and be forgotten forever or brave it in a world that doesn’t even know they are alive in order to get home to Bracknell in time for Christmas and reclaim their lives. First there’s just the small issue of busting out of a high-security Texan jail. The stars, writers and creators Mathew Baynton and James Corden said: “The challenge and the excitement of coming to a second series was that we had to find the next chapter of the same story, rather than resetting. It’s more like a sequel. In the first series Sam happened to pick up this phone and all this trouble descended on them. They are much more active this time, they are the architects of everything that befalls them. With thanks to BBC Media. More promotional pictures below.